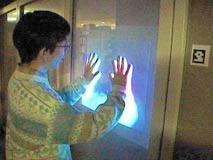 The HoloWall is a wall-sized computer display that allows users to interact without special pointing devices. 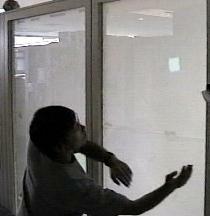 The display part consists of a glass wall with rear-projection sheet behind it. 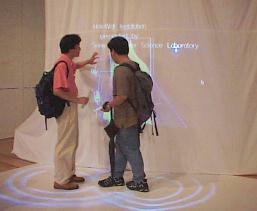 A video projector behind the wall displays images on the wall. Inputs are recognized in an interesting way. This is done with infrared (IR) lights (we use an array of IR light-emitting diodes (LEDs)) and a video camera with an IR filter (an optical filter that blocks light less below 840 nm) installed behind the wall. 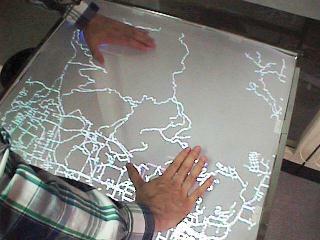 Since the rear-projection panel is semi-opaque and diffusive, the user's shape or any other objects in front of the screen are invisible to the camera. 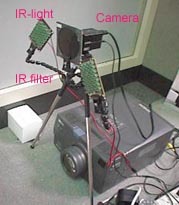 However, when a user moves a finger close enough to the screen (between 0 cm to 30 cm, depending on the threshold value of the recognition software), it reflects IR light and thus becomes visible to the camera. 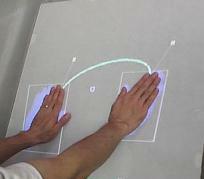 With a simple image processing technique such as frame subtraction, the finger shape can easily be separated from the background. 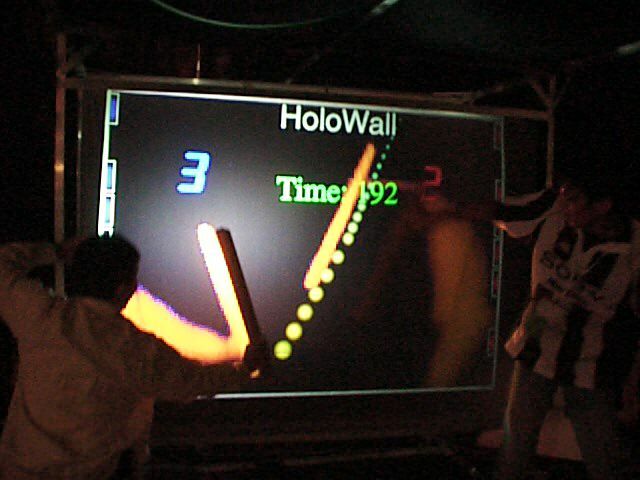 HoloWall and HoloTable are now permanently installed at Sony ExploraScience in Beijing, China. Please take a look at here and here .